Welcome to Spoiled Hair Studio! Our team at Spoiled Hair Studio is proud to serve Millinocket, ME, and neighboring communities as your one-stop shop for all of your beauty treatments. 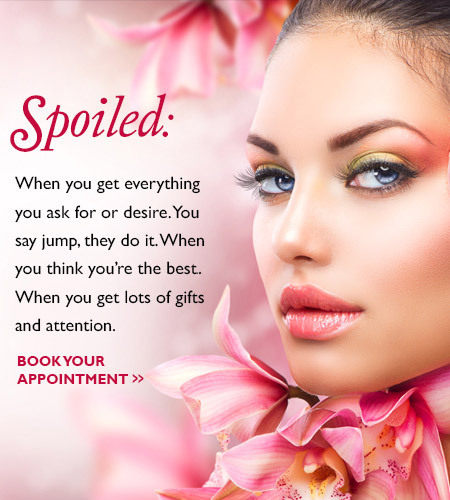 Whether you are a group of friends ready for a girls day of manicures and pedicures or a spa day, you'll find it all here at Spoiled Hair Studio. Looking for a trim or a hair cut? Our team of hair stylists are all highly trained and licensed in their particular fields. Our clean salon is a fun environment where you can spoil yourself while socializing with our fun team or your friends. We are a full service Salon & Spa, offering all hair care services for men, women and children, including hair extensions. We are a full-service nail salon and feature a spa room offering massage, facials, full body scrubs and mud wraps. 100% satisfaction guaranteed. Copyright © 2019 Spoiled Hair Studio, all rights reserved.